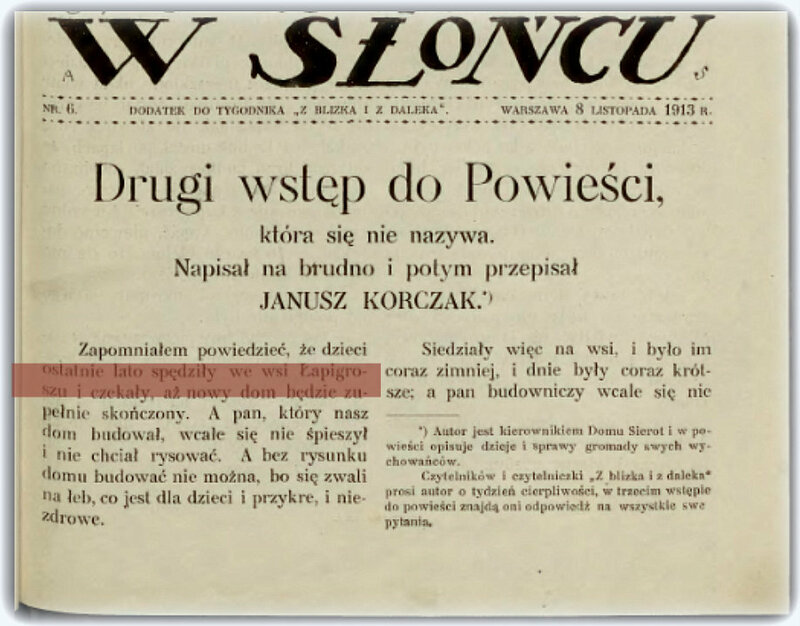 Janusz Korczak started children’s newspaper Mały Przegląd (The Little Review) in 1926. 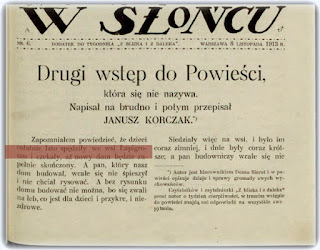 It was a weekly supplement to the General Zionist daily Nasz Przegląd (Our Review). 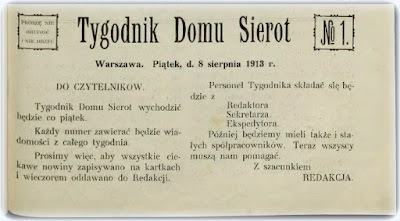 However, before that, in 1913, he established Tygodnik Domu Sierot - The Orphanage Home Weekly. 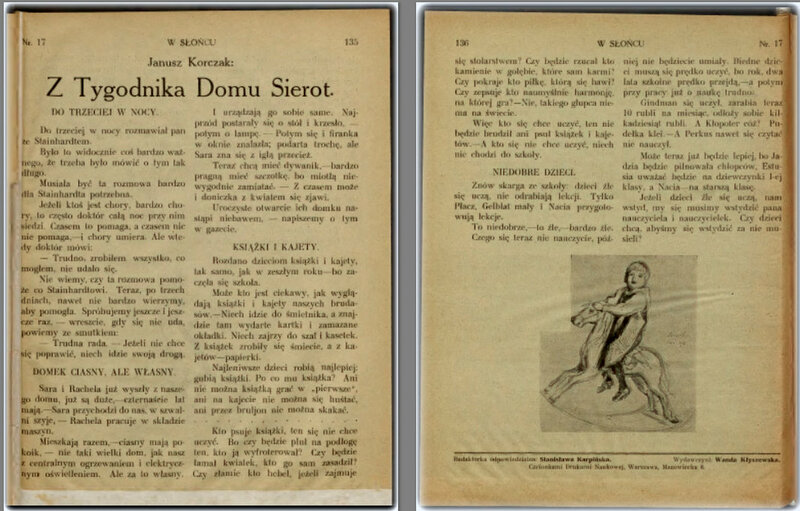 Some parts of the "Tygodnik Domu Sierot" were published almost at the same time in the Polish "W Słońcu" (In the Sun). 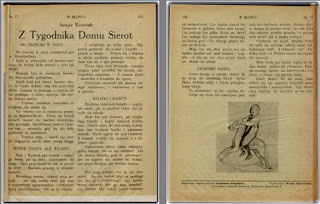 Our knowledge about Dom Sierot is enlarged thanks to these "reprints".